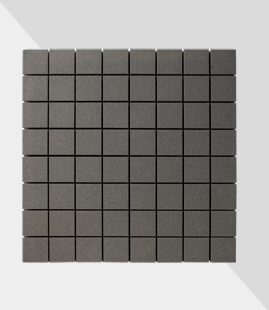 24 x 24 inch high-density acoustic foam panels. Ultracoustic Ultra Square delivers exceptional room control - especially high & mid range flutter. Ideally placed across a room Ultra Square can be used as on the ceiling and walls. Ultracoustic panels deliver the improvement you need in a room. A unique combination of technical acoustic foam, and mathematically derived cavities makes the Ultra Square suited for any application. More over the cavities of the Ultra Square can also be used to hide cables running across. Ultracoustic Ultra Square acoustic panels can be used in recording studios, home theaters, control rooms, offices, restaurants, class rooms, boardrooms, broadcast studios, live rooms where a range of instruments and voices are recorded, rehearsal rooms, auditoriums and other performance spaces.